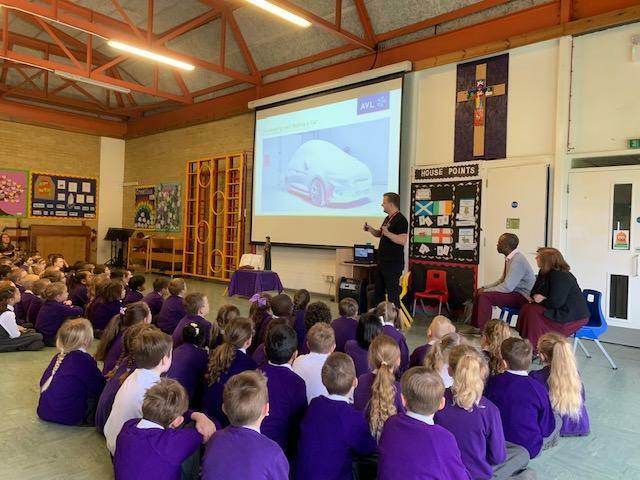 This week More Park Primary, West Malling were delighted to welcome several parents who work within the STEM (Science, Technology, Engineering and Math) industry, into the academy to present a joint assembly to all pupils. As part of their Science week, the academy were able to co-ordinate diaries; and six parents, over two assemblies, talked about an amazing range of topics including what their job involves, the qualifications they needed and the fun they have! Diverse topics ranging from a Paediatric Consultant, Mechanical Engineer (working in the automotive industry), IT Consultants, Biomedical Science; and Finance & Accounting experts were all presented together with pictures and diagrams, and lots of questions & fun. A huge thank you to these amazing parents for volunteering their time for such an important and exciting event!